Democratic gubernatorial candidate Antonio Villaraigosa visited Border Field State Park to discuss immigration issues. 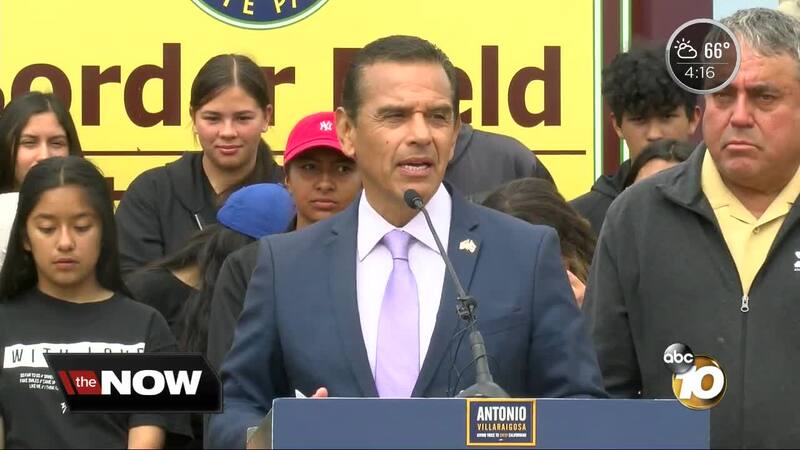 SAN DIEGO (KGTV) - Democratic gubernatorial candidate Antonio Villaraigosa visited San Diego County Wednesday to meet with activists to discuss the U.S. and California’s immigration issues. The former Los Angeles mayor was scheduled to meet with the nonprofit group Border Angels at Border Field State Park in south San Diego, near the U.S.-Mexico border. Villaraigosa recently released a campaign ad -- in English and Spanish -- that focuses on his fight against the Trump administration’s immigration policies, particularly when it comes to the Dream Act. In a 10News/San Diego Union-Tribune poll released May 24 , Villaraigosa trails state Lt. Gov. Gavin Newsom by a fairly large margin in the race to succeed Gov. Jerry Brown.